United we stand? Representations of Scandinavian pop music and contradictions thereof. 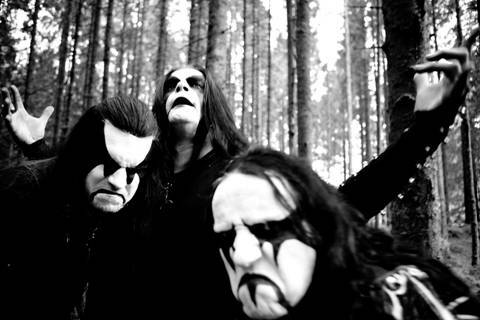 I love photographs of Norwegian metal bands in snowy forests. They’re so… Nordic. [Arnar has a background as a music journalist and is a panellist/judge with expertise relating to Nordic pop. As a PhD student he also speaks modestly of his ‘academic wisdom, developing’! He defines ‘Nordic’ as Iceland, Norway, Denmark, Sweden and Finland and contrasts these countries with the ‘all-powerful’ Anglo-American pop tradition. Today’s discussion is about cultural stereotypes in Nordic popular music]. Our first example is Anna von Hausswolff and her video is briefly discussed, mainly for its ‘walking in the snow’ Nordic stereotype. And finally some of what he describes as ‘stereotypical Nordic craziness’ from Bjork’s Human Behaviour. Several trends (and Nordic stereotypes) are identified, with an overarching question – is there one Nordic sound? There is state involvement in promoting Nordic music internationally (e.g. NOMEX). Nordic-ness is romanticised as melancholic and gothic “jazzy ambient soundtrack to falling snow”. Non-nordic scholarship often reinforces the over-simplifications. Sometimes the musicians play up the stereotypes (Sigur Ros, Immortal) with varying degrees of irony and humour. We look online at nordicplaylist.com and Arnar identifies the paradox inherent in this stereotyping – promotional efforts are over-simplified versions of Nordic characteristics, but the places themselves collude in the simplification of exotica. Schram (2011) uses the term ‘Borealism’ – https://www.era.lib.ed.ac.uk/handle/1842/5976. Nick Prior’s recent 2014 work on the Rekjavik scene is cited – http://www.sps.ed.ac.uk/staff/sociology/prior_nick – and Arnar uses these examples to defend his position that there is little scholarship that covers all five Nordic countries collectively. We now hear about his own involvement in the Nordic Music Prize, and acknowledges the difficulty implied by the fact that the Swedes have won the prize three years in a row [! ], and moves on to an ethnomethodological discussion about the meeting of cultures across the jury members. The panel knew a lot about Anglo-American pop but very little about each other’s musics – an interesting observation about cultural crossovers and musical identity across borders. Other subdivisions are cited, including groups of countries (Denmark/Sweden/Norway treated as one block) and outliers to the group (Faroe Islands). « IASPM 2014: Pitch Perfect – Autotune or Out of Tune?